In addition to the state law that prevents municipal investment, cooperatives do not have the access to capital for fiber infrastructure to improve connectivity for members. Rather than depending on national companies that have shown their lack of interest in North Carolina investment, the state could restore local authority and give cooperatives the tools they need to offer high-quality Internet access in rural areas. "Access to high-speed Internet is crucial these days, and I’m encouraged by the fact that this technology will bring us one step closer to making sure that North Carolinians receive the services they need, regardless of their geographic location throughout the state." Check out the new mapping tool from the North Carolina Broadband Infrastructure Office and if you live in the state, please take a few moments to add your Internet access data. 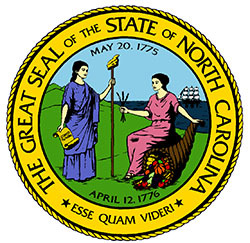 If you know some one who lives in North Carolina, encourage them to complete the survey to help improve broadband mapping data.